Claremont, Calif. (June 09, 2016)—Pitzer College has named alumna Yvonne Berumen ‘97, a leading advocate of first-generation and underrepresented college students, as its new vice president for admission and financial aid. She assumes office July 5, 2016. A first-generation college student, Berumen is currently the vice president of scholarships and academic support services at the Hispanic Scholarship Fund (HSF) where her primary role is to oversee the HSF Scholarship and the selection and management of the Gates Millennium Scholarship. In concert with the execution of scholarship awards, Berumen manages HSF’s strategic outreach to students, parents and educational constituents, which includes developing content that promotes college attainment and academic success. As Pitzer’s vice president for admission and financial aid, Berumen will be responsible for developing a strategic outreach and enrollment plan that reflects the College’s core values to recruit and enroll a highly talented and diverse student body. She will also provide dynamic and forward-looking leadership to the areas of admission and financial aid. 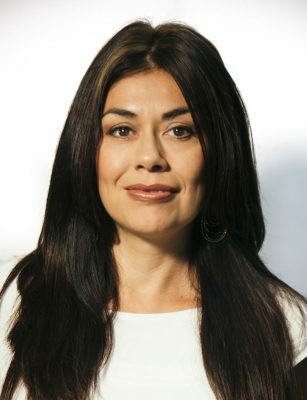 Prior to joining HSF, Berumen worked in college admission for 16 years at Occidental College, Pitzer College and at Mount Saint Mary’s University in Los Angeles, where she served as director of admission and was responsible for both marketing and recruiting of all entering undergraduate students. In addition to her work in college admission, Berumen worked as a college counselor for the Fulfillment Fund, a community based non-profit, where she counseled and helped to develop a curriculum that addressed the needs of secondary and post-secondary students seeking academic success. She also worked closely with parents, educators and other community-based officials to promote college attainment in several urban and underserved schools within the diverse metropolis of Los Angeles. Yvonne Berumen earned her BA in psychology/sociology from Pitzer College and her MA in higher education with emphasis on statistical analysis from the Claremont Graduate University. Berumen has taught Special Issues in College Counseling for UCLA Extension and served on the College Board’s Faculty for Summer Institute, a program that helps new admission counselors learn more about the profession. She served as board member and scholarship committee member of the Motivating Our Students Through Experience program from 2006 to present.